We know we’re “Just Your Type”. and other files back within 24-hours with 98.5% accuracy guaranteed. Do you want to save time, money and not compromise quality? 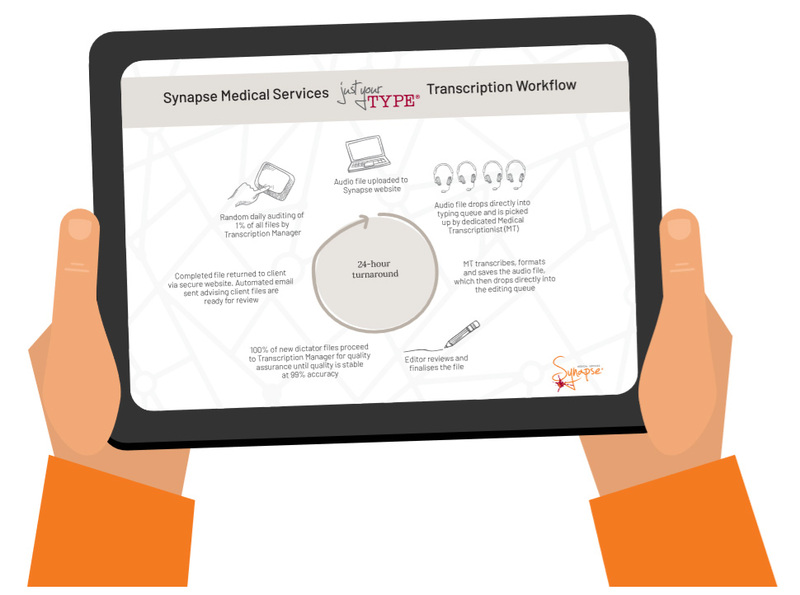 Outsource your typing to Synapse! *A line is 65 characters including spaces. International clients add a $10 monthly administration fee. All prices quoted ex GST. Synapse reserves the right to change pricing at any time. Forget headaches, document delays and poor pricing, use our ‘Just Your Type’ service. You speak, we listen and convert!